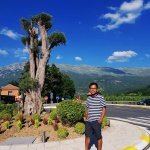 Ever felt that you are enjoying the moment, but still missing out on something at the same time? This is what Christmas is for a lot of people around. Also, have you ever seen people buying but not bringing anything out of the shopping stores during Christmas? Real people buying real things for real people, but no, not for themselves! If you wondered whether this is some Utopian vision, it isn’t. This is what Choose Love has been doing since the last few years. 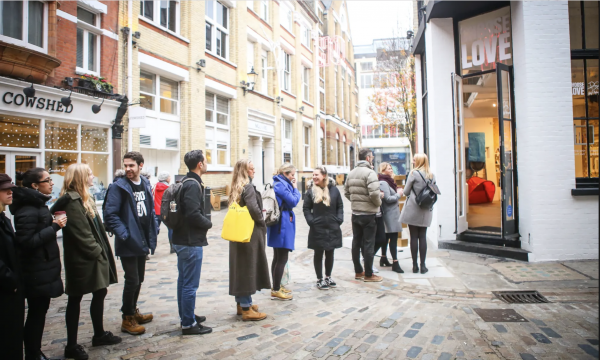 You would find a disciplined queue outside their shop despite the harsh November cold. The Black Friday Sale? Nah. They have come together with the motto – “shop your heart out, leave with nothing, and feel the love”. In this case, the charity Help Refugees in its applaudable efforts makes sure that Christmas changes. 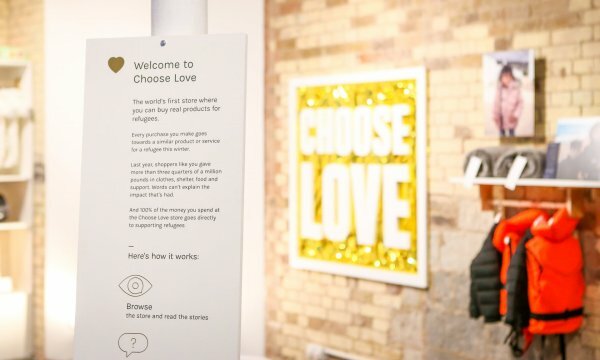 This organisation runs the pop-up store Choose Love and encourages shoppers to buy basic necessities like beds and solar lamps for the homeless and the nameless who have been away from home. It is located in Carnaby Street. It ensures that these people find refuge in some way that aids them in their survival, shelter and ultimately their future. The store caters to these three kinds of needs and is categorised accordingly. Black Friday is the day when people shop madly. They spend unnecessary money buying gifts which a lot of well to do people don’t need. Instead of investing on yourself, you should really take part in such initiatives that add meaning not only to your life, but to lives which are otherwise wasted. Some of the customers outside the Choose Love store were quite elated to have been able to take part in this kind act. They had spent enough on themselves and were there to contribute towards making our world a better place. In the age of late capitalism, where humanity is bought with a cheque and awards in the drawing room, this is surprisingly quite humane for us, well at least for a few of us! But it is not only paying with gifts to make them happy, but you can actually help them more by paying for their legal support. Oh also, their mental health. Imagine the fact that you are actually paying to make someone happy not only materially but also physically and mentally. You are contributing for their long-term benefits. People seem to be less selfish than we think they are, and well, as a result there is a second Choose Love shop in New York. Help Refugee works and acts where others don’t. 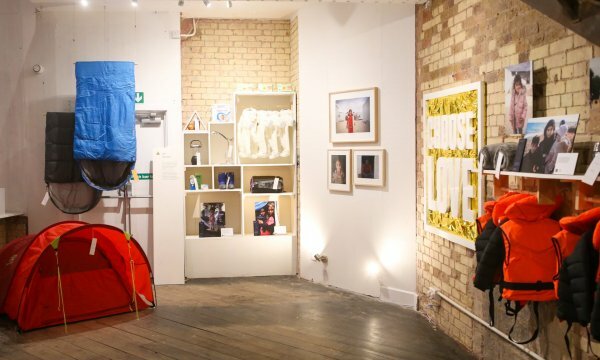 Last year, the London store and its online equivalent raised £750,000, which provided the refugees with 3,556 nights of accommodations, 800,000 meals and 25,000 essential winter items. Maybe this is our way of giving back, our only way today, maybe? We earn our living, pay our bills, eat, sleep and are always on the lookout to do something worthwhile. This is us giving back to people who actually need them. Not branded jeans, or a yoyo to survive the November cold in France, Greece or across Europe but clothes, boots and shelter for warmth. Incidents like these restore our faith in humanity.
? What Makes A Good Life? Lessons From The Longest Study On Happiness This is What Sand Magnified Up to 300x Looks Like [Photos] ?